Prema Arts Centre , Gloucestershire. The New Apollo Gallery, Dublin. The Axiom Gallery, Cheltenham. Painswick Beacon Gloucestershire. Parkfields Gallery, Ross on Wye. New Art Centre ,Roche Court, Sailsbury. A 7' x 9' print of Momma Hen by Karen Hilliard, currently hangs on the gable end of 'The Village Inn' in Nailsworth, Gloucestershire. 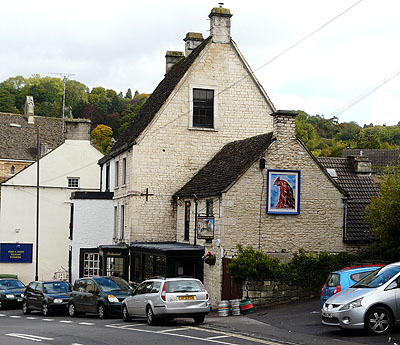 Welcome to the 'Nailsworth Fame' akin to the London Fourth Plynth for Gloucestershire artists. This platform also integrates Art into the community by providing 'Drive-by' art where the viewer does not need to leave the comfort of their vehicle to enjoy the work.